Unfortunately there are children in dire need of socks, so here are some happy socks for them! The Interfaith Hospitality Network Main Line, headquartered in Norristown, PA, unites people from different segments of the caring community to work collaboratively to alleviate the suffering of homeless families. 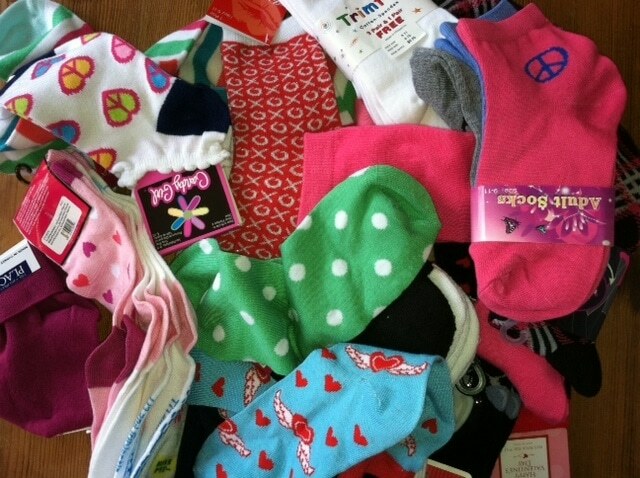 And one of the things they needed, according to Sue Herchek White, Executive Director, was socks. But not just any sock, they wanted socks for children up to age five. So last week The Joy of Socks delivered 250 pairs of colorful socks for the homeless children they serve. There should now be 2,500 warm, happy toes.